A beautifully written and illustrated story, with an excellent message for children. Exciting news on this Monday afternoon! 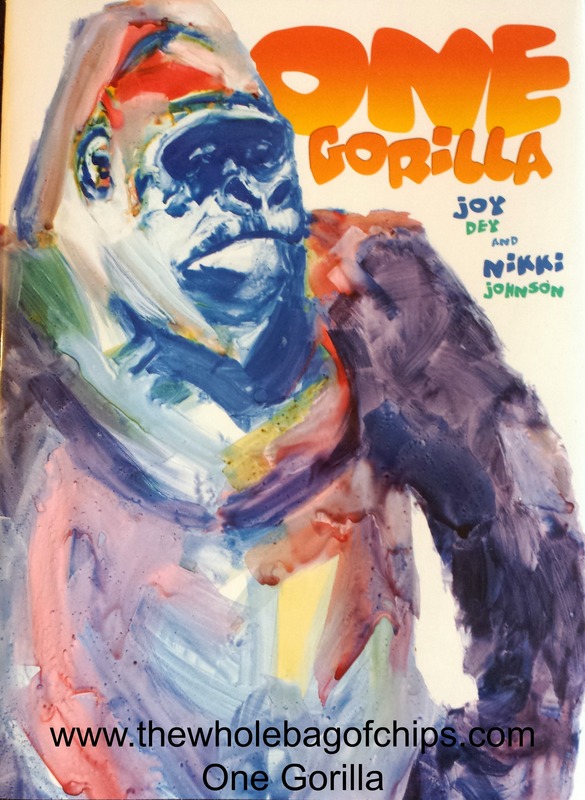 Joy Dey, author of “One Gorilla,” which I reviewed on my blog just last week, has offered a book to give away to one lucky Whole Bag of Chips reader!! How great is that? So great! Thanks to Joy, one lucky reader’s name will be drawn from all of those who post a comment here on this post telling me why they’d like to win their very own copy of the book. I will run this giveaway from today until Sunday, April 26 and announce the winner next Monday, April 27. Be sure to leave your comment in the comments section below in order to be eligible for the giveaway! This sounds like a good book to read and pass along to cousins who would also enjoy it! It looks like a great book to read with my 3 kids! This would be a great book to read to my students!